The "hype" created about the changes to the South African Income Tax Act relating to tax exemption of employment income earned abroad, is clouding its fairness - according to Hilary Dudley, managing director of Citadel Fiduciary. 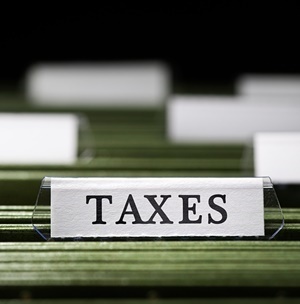 The changes will come into effect on March 1, 2020 and have been a cause of concern for many South Africans working abroad who currently pay no tax if they meet certain criteria. When the changes to the act come into effect, however, only R1m of this income will be exempt from tax in SA. She points out that the impact of the changes is likely to be felt the most by South Africans working in tax havens. Many of these tax havens have high levels of indirect taxes such as VAT, but no payroll tax. "Let's look at this without the emotion attached. If an expat is earning money outside SA; but still owns property, has a family who lives here and wants to be seen as a South African; it is realistic for such a person to be required to pay some level of direct tax," says Dudley. In her view, the R1m threshold is reasonable considering the tax thresholds enjoyed by employees working in South Africa. "Admittedly, most affected taxpayers are probably earning hard currency and the current weakened rand will to some extent, negate the impact of the R1m exemption. But expats do need to be taxed in some way," says Dudley. "If an expat is already paying direct tax in another country, then the effect of the new SA tax may be mitigated by tax paid elsewhere in terms of a double tax agreement with possible minimal effect." Dudley is of the view that Treasury is more likely to be targeting individuals such as pilots or oil rig workers who effectively retain a base in SA, but who work for an offshore company. Until now, these individuals were exempt from paying tax in SA, despite enjoying the benefits of their families living in the country. Another possible problem scenario she highlights relates to people who left South Africa years ago, although they have not financially emigrated. They may no longer be regarded as tax resident in SA because they have been living abroad for such a long time. She points out that it is also worth noting the impact of cross-border information sharing on the implementation of expat tax changes. Since expats have always been required to complete a tax return in South Africa, even if they were exempt from paying income tax on foreign employment income, this information is already available to the SA Revenue Service (SARS). On top of that, due to information sharing between countries and banks, SARS will know exactly how much is paid into anyone's bank account. "Information sharing agreements were specifically noted by Finance Minister Tito Mboweni in his 2019 National Budget as a key focus area for fixing SARS and tightening the tax net," cautions Dudley. "This means expats too will increasingly be on SARS' radar, underlining the importance of ensuring that your affairs are in order and in compliance with these new proposed amendments." Fin24 reported earlier that, despite hosting a workshop recently where they were given feedback from experts in the financial industry, National Treasury and SARS are not budging on an amendment to the foreign income tax exemption. Jonty Leon, a tax attorney at Tax Consulting SA, tells Fin24 one major point of contention is the taxation of certain fringe benefits. "That means the exemption of only R1m stays and at the same time fringe benefits and allowances will become taxable."